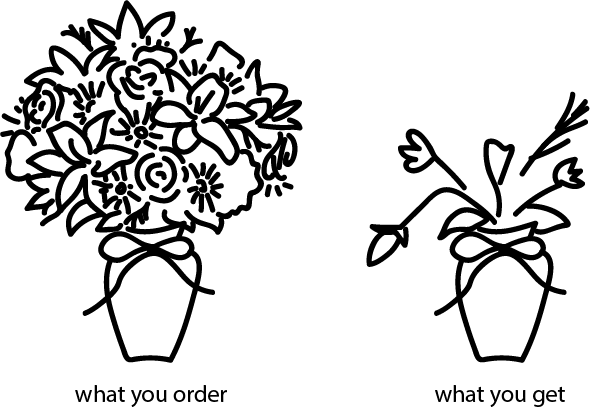 Ever order flowers online, with disappointing results? That's because, 90% of the time, you're not buying directly from a local florist. You're buying from a wire service, the very definition of a middleman. 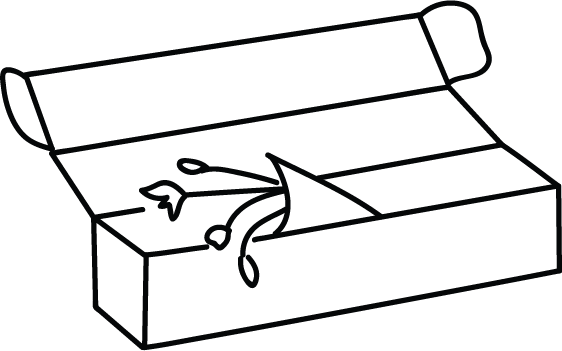 Their sole purpose is to take your orders and give them to the florist, for a hefty cut of the profits. The florist is left with orders they know they can't make money on, and has to scramble to get you anything resembling the picture. Or perhaps instead of a friendly human with a bouquet, your loved one opens the door to a FedEx box. It's filled with only the cheapest, hardiest flowers, which arrive thirsty and tired from their long journey. beautiful flowers, every time, without hassle. Flowers exist in a glorious multitude of colors, textures, and scents, none of which you'll get in a mass-market bouquet. We select our flowers fresh every morning and design each arrangement by hand just for you. From hand-written cards to our signature wrap, you'll appreciate our attention to detail and commitment to quality. We're not in business to make any shareholders happy, and we're not out to save the world. We're simply a group of flower nerds obsessed with beautiful, uncommon blooms, and we're too excited not to share. Founder and chief flower nerd Christen Fosque founded Hedonia to bring the experience of working with a local high-end florist to an online audience. With a decade of experience in the floral industry, she brings a keen eye for design along with an MBA from Kellogg School of Management and a Masters in Design Innovation from Northwestern University.